Here at KBS’s Conference Center, we know that food has the ability to take a good event and make it a great event. We have a variety of dining options available to accommodate you during your visit. Casual dining for breakfast, lunch, and dinner is available in McCrary Dining Hall during your meeting. Snack and beverage service is included in your meeting rate. Working lunches catered in your meeting room by request. Are you going to be in the area? Come join us for lunch! McCrary Dining Hall is open to the public from 12-1pm, Monday through Friday. Please call (269)671-2400 front desk for reservations for your group of five or larger. 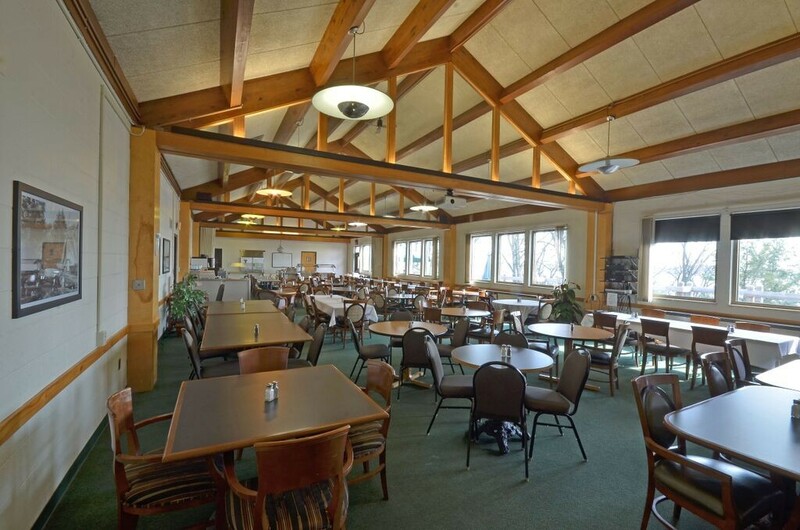 McCrary Dining Hall is available for breakfast, lunch, and dinner each day during your event. All meals are chef’s choice and feature locally grown produce. Our lunch menu is posted for employees, students, faculty, conference groups and the public, and served year-round. Our chef has extensive experience with dietary restrictions such as vegetarian, gluten free, vegan, food allergies, religious requirements, and the like. Boxed lunch options also available. Seasonal and MSU account discounts may apply. Please submit an inquiry or call (269) 671-2400 to discuss rate plans and menus. Breakfast served 7:00 to 8:00 a.m. Lunch served 12:00 to 1:00 p.m.
Dinner served 6:00 to 7:00 p.m. Menu selections are for the entire group, individual requests will be considered. There may be several conference groups, staff, students, researchers in McCrary Dining Hall during meals. A 20% service fee will apply to all food and beverages served in meeting rooms (excluding snack service). The KBS Conference Center strives for gastronomic inclusion. Standard daily substitutions are available for vegan, lacto vegetarian, and gluten free diets by asking the food service staff when approaching the service area. 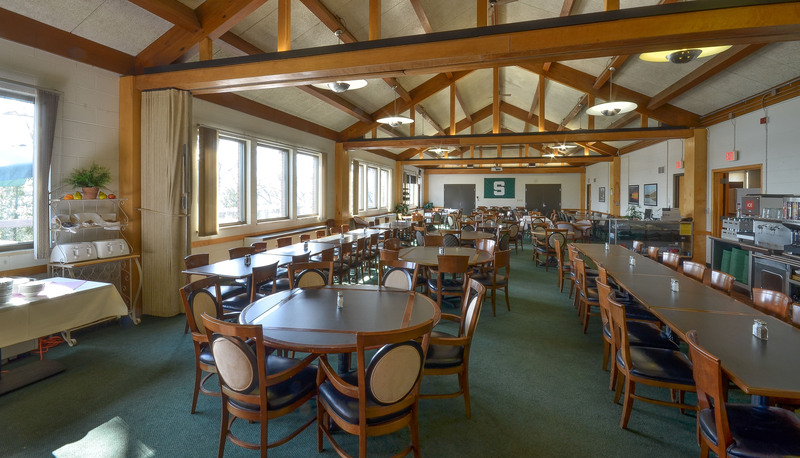 If you are sensitive to a particular food allergen(s), or require a specialized diet, then please contact the Chef at 269-671-2401 or email bosier@msu.edu, at least one week before arriving to KBS. The Chef is certified and knowledgeable about servicing individuals with dietary restrictions/food allergens. We have several options for alcoholic beverages at your conference or meeting. You may choose from: beer, wine, combined beer and wine, and hosted bar services. 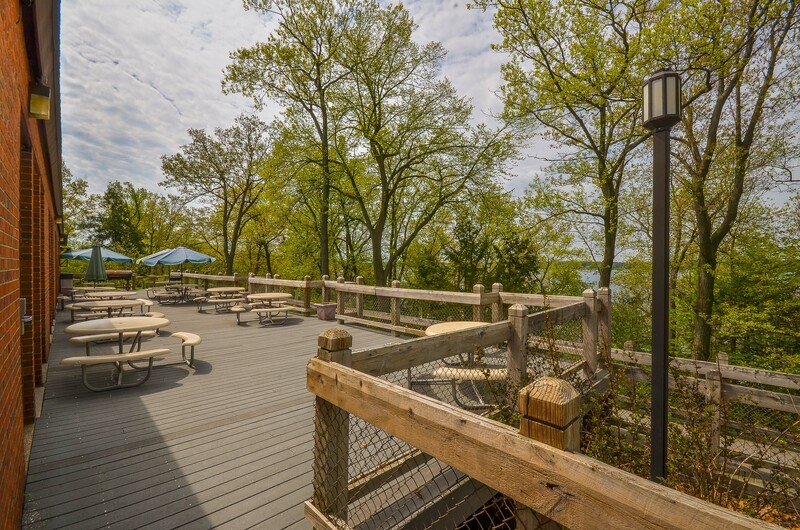 The Conference Center has a wide variety of bar locations both inside and outside, on the beautiful main grounds of the KBS campus. You can combine your favorite hors d’oeuvre trays or KBS cheese with bar service and show your guests a wonderful evening. We would be happy to arrange for a full-service bartender at the beginning of an event, then revert to beer and wine to finish out the evening. Your event bar service is completely customizable and all the options can be layered with each other to create the event that you prefer. Beer is available by the keg or in bottles. We offer a wide selection of national domestic and craft, or imported beers. Please contact us for pricing and selection. We have a selection of both house and premium wines. We can also bring in specialty wines of your preference. Wine service is offered in a display set out for your guests or served by our staff. Combination beer and wine displays are very popular for groups, with something for everyone. You may select three national domestic beer choices and three house wines. Upgrade to craft and import selections for a small upcharge per person. If you would like to serve your guests custom cocktails, popular spirits, and a host of wines and beers to fit the occasion, then bar service is the best option for your event. We offer two open bar arrangements, either by the hour or by the drink. A cash bar is also an option. There is a $250.00 minimum for cash bars. Bar service with spirits includes an experienced bartender. Alcohol services are available to clients 21 and over except resident students.